The challenges of parenthood, especially in the early days, often include how to keep one’s profession healthy while also having the time and energy to be a good parent to your kids. For creatives, often this means trying to work from home and fit both lives together into one harmonious blend. 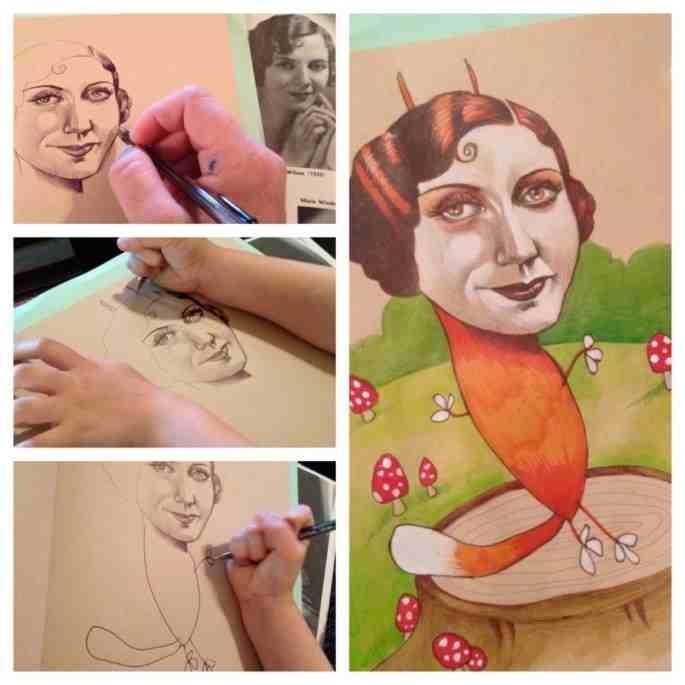 One illustrator met such a challenge when her 4-year-old found a new sketchbook and insisted that mother “share.” The result is a genius mix: a level of kookiness that no adult could simulate, with a lovely level of quality from a skilled illustrator. 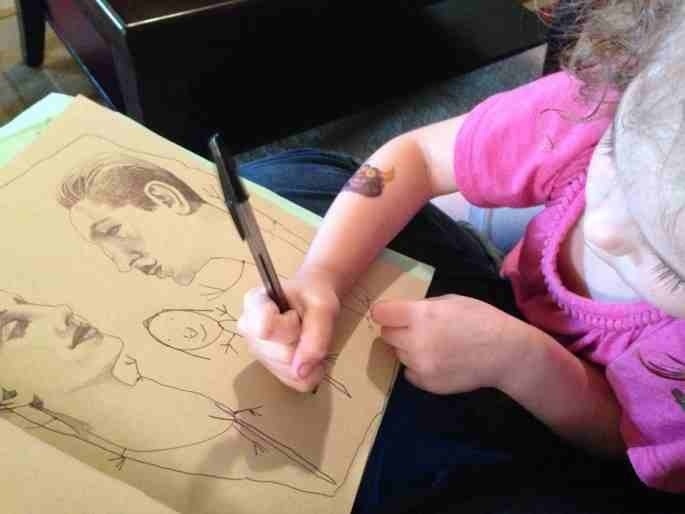 It’s a good reminder for creative professional parents that sometimes it’s a good thing to let the left hand meet the right.